The Craft Beer Cellar in Portsmouth, New Hampshire recommended this Belgian-style golden ale from Smuttlabs. Appearance: A cloudy golden pour with a thin, eggshell head and persistent lacing. Aroma: Big nose of red plums, caramel, and cherries. Earthy whiffs of black pepper. Taste: Vinuous and acidic. Flavours of citrus pith, with a red-wine earthiness. Pepper and cinnamon heat as it warms. A punch of orange oil to finish. Mouthfeel: Light body and good carbonation. Slight carbonation bite on the palate. Overall: Light and easy drinking. Not at all boozy, but gets warm and earthy in its final act. 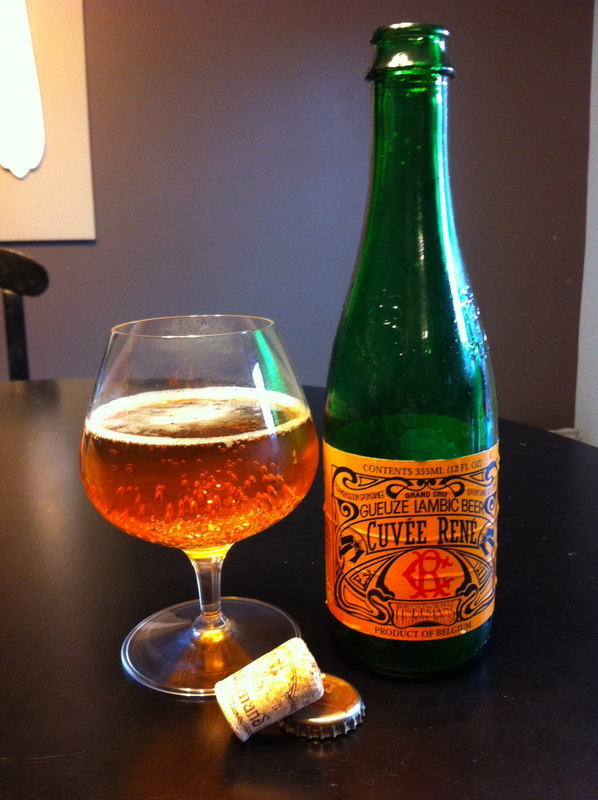 This is a complex beer, that changes tone and develops more spiciness and wine qualities as it warms and breathes. Beautiful craftsmanship. Smuttlabs (Smuttynose) can be found on the web, Facebook, and Twitter. Follow us on Twitter and Instagram, like us on Facebook, and be our friend on Untappd. Lindemans Brewery was founded on a family run farm in 1822. 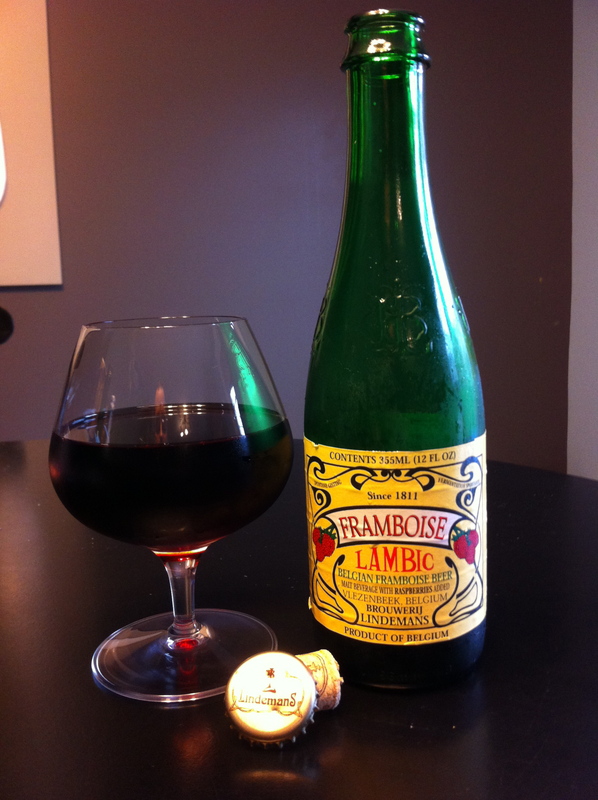 By 1930 farming actives stopped due to the demands on the production of their lambic beer. Lindemans produces its lambic beer in a traditional manner by allowing the wild yeast and bacteria to to inoculate and ferment the wort. The beer is allowed to ferment for one to three years. This produces a beer that is tart and acidic, much like wine is. Fruit can be added to produce a fruit flavour beer. Appearance: deep red with next to no head and crystal clear. Aroma: lots of cherries. Slight funk, a little earthy. No malt or hops in the aroma. Taste: cherries. Little tart and a bit sweet, but not too over powering. Clean and refreshing. Mouthfeel: light bodied with moderate to high carbonation. Overall: nice and refreshing, easy to drink. Well made and a nice balanced flavour. Excellent. Appearance: deep ruby red. No head at all. Can see a bit of carbonation in the glass. Aroma: strong raspberry aroma, not much else. Taste: loads and loads of raspberry. A touch of malt. No funk and a bit of tart. Balanced with the sweet. Mouthfeel: light bodied. Moderate carbonation. Overall: refreshing clean and fruity. Tasty, but maybe a bit on the artificial side (whether thats actually artificial or just a perception), but otherwise not too bad. Appearance: golden in colour. Very clear with a sight head. Aroma: funk is the first thing that comes through. Theres a bit of malt and a little caramelly sweetness. Taste: this one is sweet. Theres a bit of apricot and a little burnt sugar on a back of the tongue. Mouthfeel: light bodied. Sugary slickness and light carbonation. Overall: a bit sweet for my palette. Unique in the family of lambic beers, for sure. This would be best as a dessert beer with the sweeter flavour. Appearance: clear and pale gold. Nice bit of carbonation and a good bit of head that fades quickly. Aroma: sweet summer fruit. Pears. A touch of funk. Just a hint of malt. Taste: a bit of tart/funk, a bit bitter (not hop bitterness, but a tart bitterness). A bit of leather. Some apple notes. Mouthfeel: light bodied, and a good bit of carbonation. Overall: not as flavourful as I was expecting. Honestly, I’m underwhelmed, but not totally disappointed with this beer. I psyched myself up and it just wasn’t what I expected, but not bad. 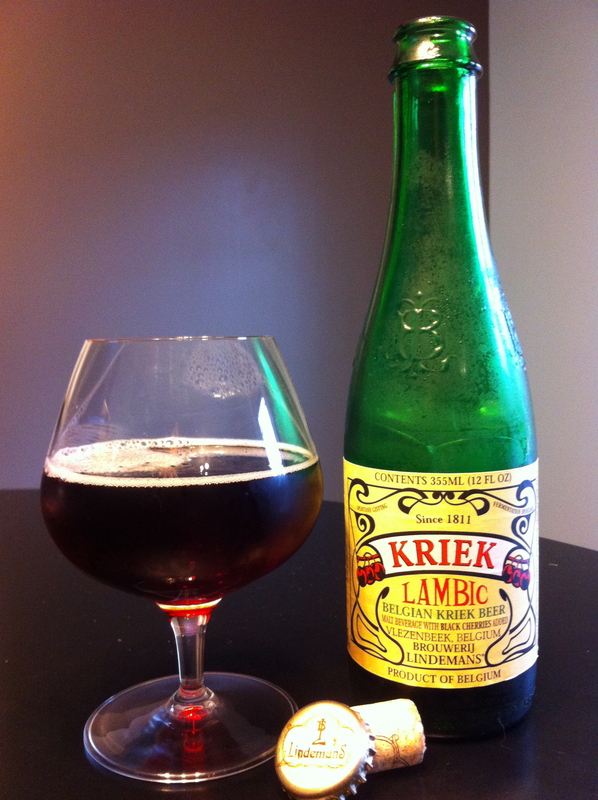 Its a decent lambic, but not the best I’ve had. Like us on Twitter and follow us on Facebook. We’re back at the Gahan House Brewery in Charlottetown, P.E.I. 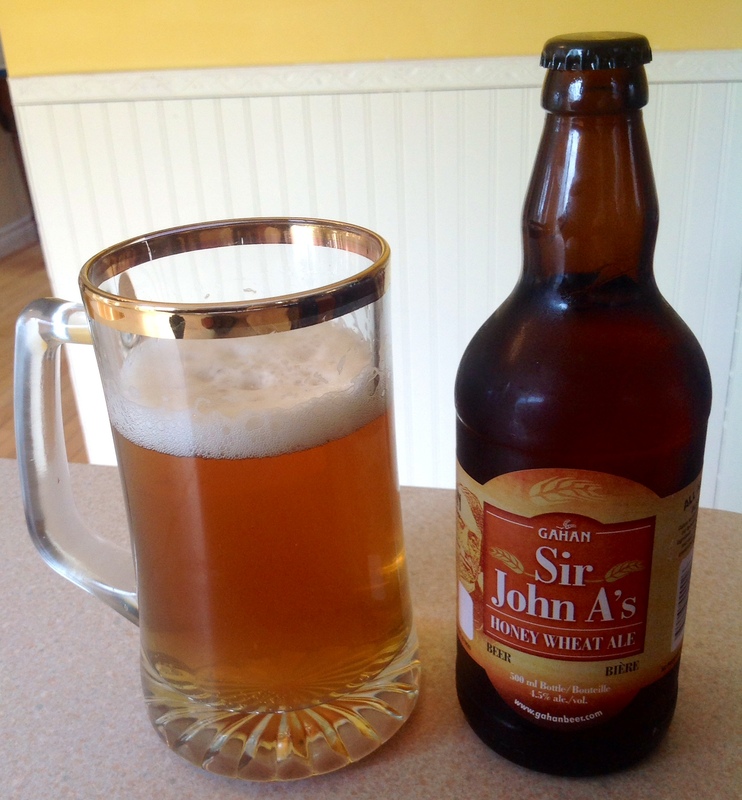 to sample Sir John A’s Honey Wheat Ale. The brewer describes this as “a light golden brew with honey-ish notes on the nose and a rounded, off dry and slightly citrusy body,” which is true, so far as it goes. I just don’t know about calling this a honey wheat ale. In character and style, it’s far closer to a blonde. Appearance: Light, golden and clear, with a thin head that dissapates quickly. Aroma: Hoppy and citrusy—almost limey. You know what I’d expect to smell here? Honey. Alas, no honey. Taste: Very crisp, with a nice punch of citrus that quickly fades into a slow heat. The flavour profile is more simplistic than I’d like (or hope), but it’s clean and drinkable. Mouthfeel: Light and unremarkable; closer to a macro-brewery beer. Overall: This one isn`t going to change your life, and it`s not a great example of a wheat ale. 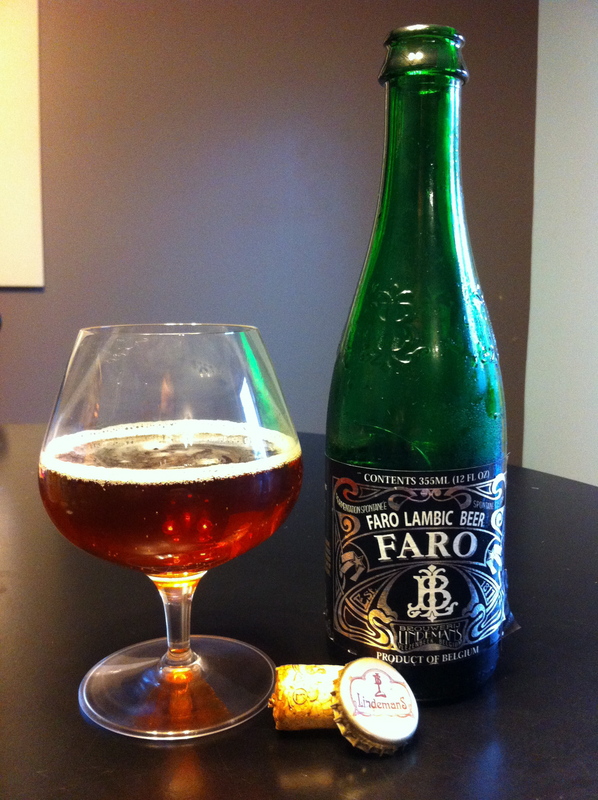 But taken on its own, it`s pleasant and drinkable‑a good beer for a hot summer day. Its most outstanding quality is its crispness, so it pairs nicely with fatty-porky dishes; the hops cut right through that rich fat. At the Gahan House, they recommend pairing with their dry ribs. I’ve tried with both smoked pork belly and bacon-wrapped scallops and was happy with the results. Guest reviewer Trevor J. Adams is senior editor with Metro Guide Publishing and the editor of Halifax Magazine. In 2012, he published his first solo book, Long Shots: The Curious Story of the Four Maritime Teams That Played for the Stanley Cup (Nimbus Publishing). Tap 6 is Schneider Weisse’s version of a weizenbock. Described on the bottle as Wheat Dopplebock, this dark, strong wheat beer is something to experience. “Deep and complex – for big and relaxing moments by the fire. Darkruby colored wheat doppelbock with a creamy fine head. Strong notes of ripe bananas, raisins and plums meet liquorice and roasty aromes. Full-bodied and warming, with a well-balanced and smooth finish. 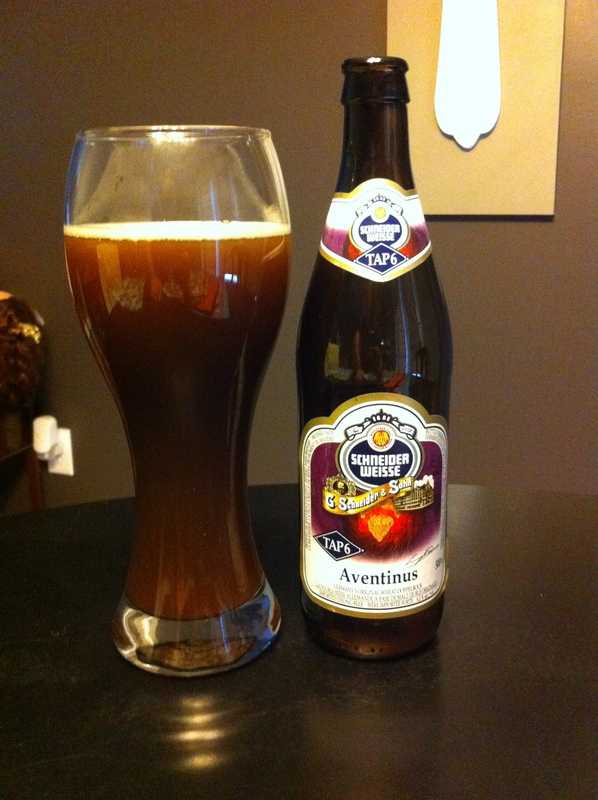 Oldest wheat doppelbock of Bavaria. Food recommendation: hearty roast meat, venison and also fruity Chocolate desserts as well as blue mold cheese. And what did I think? Muddy looking, not pretty at all. Thin off white head. Sweet malt with molasses and dark fruit. Slight note of alcohol, banana, and liquorice. Impression of sweet caramel, but not actually sweet. Very drinkable. Dry finish. Malt, chocolate, and caramel with dark fruit with hints of liquorice, tobacco, and leather. Slight tartness, but no apparent hops of alcohol. Medium to full body, but with a good amount of carbonation to keep it light. Very good. Quite drinkable. Rich and full-flavoured, but keeps dry enough to make it an enjoyable drinking beer. The 8+% alcohol is well hidden and you could easily have several in a sitting. Though the sun is out, its anything but warm. This is winter brewing in Atlantic Canada. Welcome to Drink N Brew – For the love of Beer! Looking for a one-stop site for everything beer? Are you a beer aficionado and looking for a site to expand your beer world? A home brewer looking for some quality information or recipes? Or just someone who loves beer? DrinknBrew.com is your site. A site for all things beer.